It is only through friends that I have been able to drink a handful of wines from Cayuse Vineyards. Lou was curious to try one of his bottles so we recently gathered in his kitchen to taste some wines while we ate cheeses, charcuterie, and pasta. 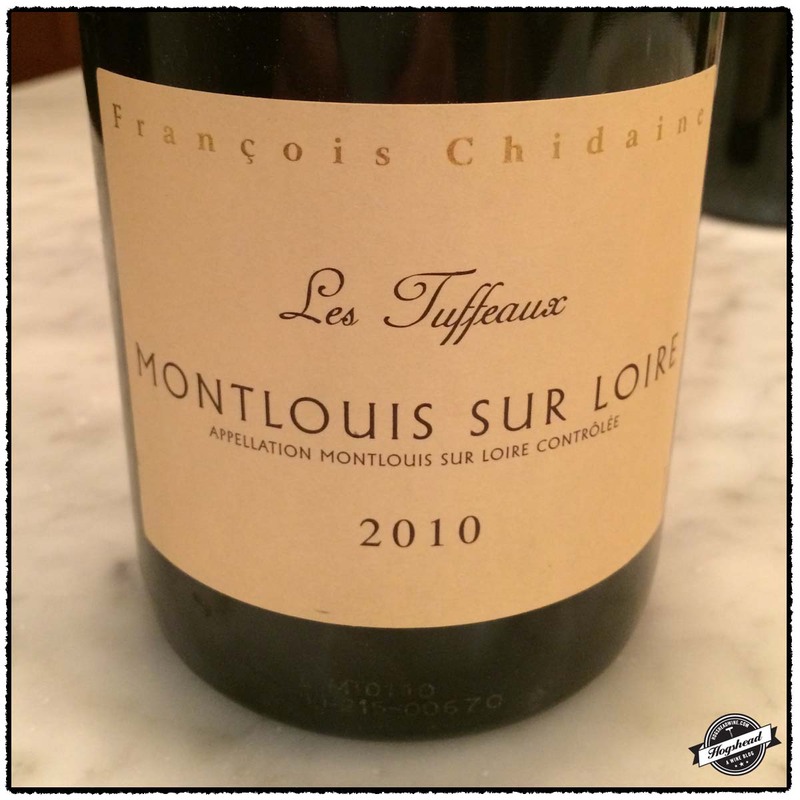 We started with the demi-sec 2010 François Chidaine, Les Tuffeaux, Montlouis Sur Loire. The complex aromas and flavors were immediately apparent and perhaps due to the rather long fermentation period. At first I wished it had a bit more acidity but then on the second night it all came into balance. I would suggest you buy this outstanding value for your cellar. Lou had opened the 2007 Cayuse Vineyards, God Only Knows, Walla Walla Valley some 13 hours ahead then decanted before the tasting. Even then it showed more complexity on the second night! This was a bigger wine but the red fruit flavors were light and delivered with precise mouthfeel. Beautiful stuff! Finally we came to the trio from Domaine du Gros ‘Noré. These wines were double-decanted about three hours before we tasted them. These are, perhaps, prototypical classic Bandol with brawn and ample structure. 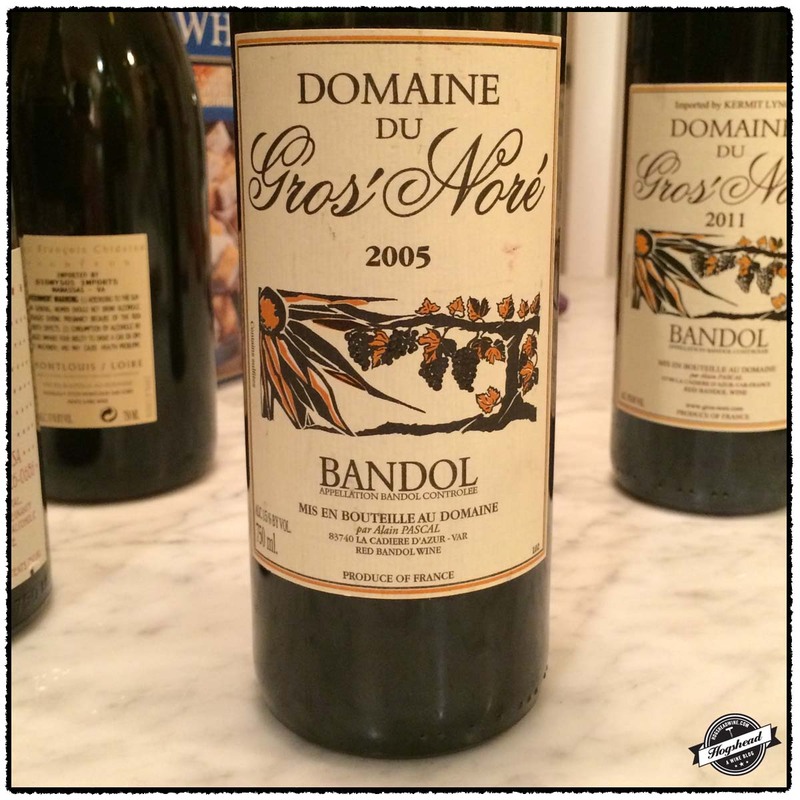 Our bottle of 2005 Domaine du Gros ‘Noré, Bandol was marred by some volatile acidity that was present on the nose but not distracting from the good, maturing flavor. 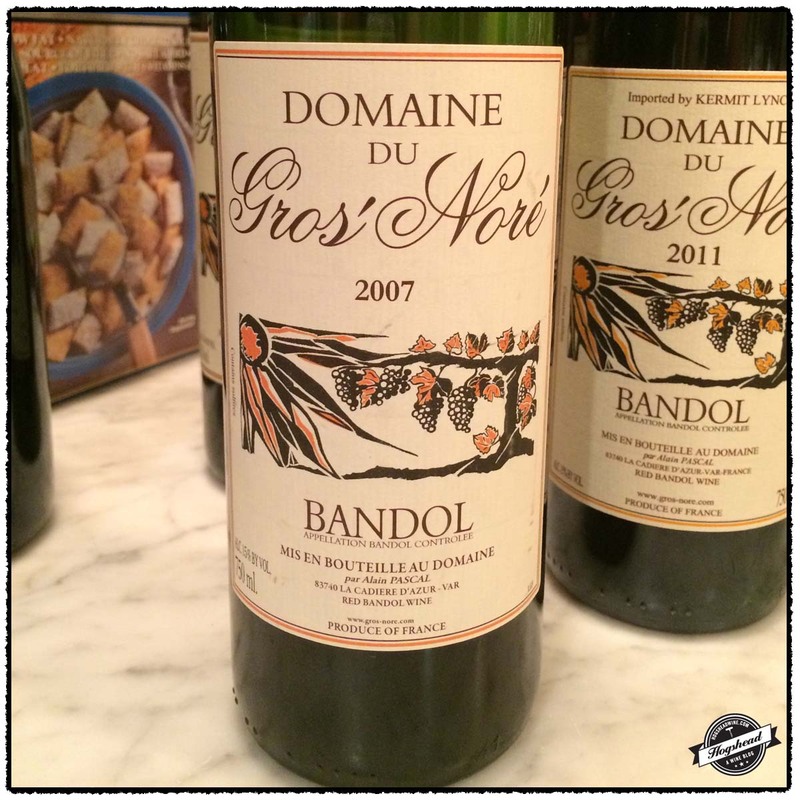 The 2007 Domaine du Gros ‘Noré, Bandol was my favorite due to its combination of concentrated fruit, minerals, racy flavors, and balance. It is just entering its drinking window so this is a wine to look out for. 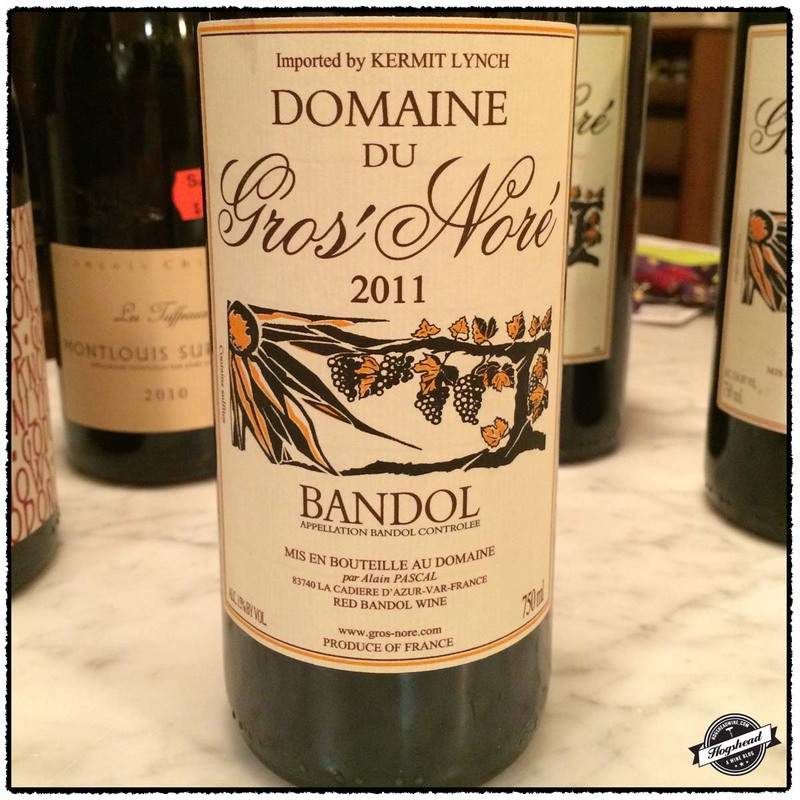 The 2011 Domaine du Gros ‘Noré, Bandol remained young with its grapey flavors but also shutdown. I had a hard time getting a sense of its future but I would not be surprised if, with bottle age, it developed like the 2007. Imported by Dionysos Imports. This demi-sec wine is 100% Chenin Blanc sourced from multiple parcels of vines 30-90 years of age. The fruit was fermented with indigenous yeasts in demi-muids for up to six months and did not undergo malolactic fermentation. It was then aged for 11 months on fine lees in demi-muids. Alcohol 13%. The nose was fragrant, textured, and round with aromas of miso, sweet notes then apples. In the mouth was a round start followed by earthy, mineral flavors. There was some residual sugar but also some tannin. The earthy, grass flavors were picked up with food. The acidity was more in a supportive role but became more noticeable on the second evening when the wine was more fruit driven. There was a slight oxidative hint. ***(*) Now-2024. 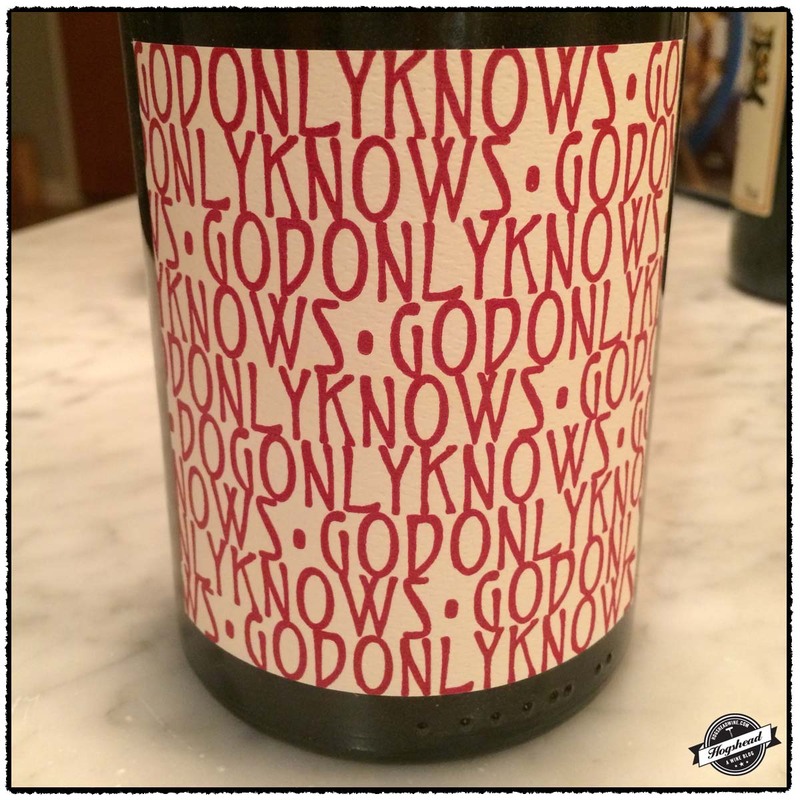 This wine is a blend of 90% Grenache and 10% “god only knows” sourced from the Armada Vineyard. It was aged in used puncheons purchased from Rene Rostaing. Alcohol 15.2%. This was a big wine but the brighter, lighter red fruit brought forth very attractive cherry flavors. There was a slight wood hint with an uncrushable mouthfeel from glycerin. With air it seamlessly developed complex flavors of oranges, exotic plants, stems, and unique flavors. **** Now-2029. Imported by Kermit Lynch. This wine is a blend of 80% Mourvèdre, 15% Grenache, 5% Cinsault sourced from 30 year old vines on soils of clay. The grapes were partially de-stemmed then aged for 18 months in oak foudres. Alcohol 15%. The color was a medium, garnet infused. The volatile acidity did pick up a bit on the nose, present but not distracting because the fruit and wood hints were still there. In the mouth were savory, earthy flavors that mixed with wood box. The flavors improved with air showing firm, black fruit at the start followed by sweet cherry and strawberry. The finish was robust with some heat and roughness. The aftertaste was long leaving a coating of firm minerals. *** Now-2019. Imported by Kermit Lynch. This wine is a blend of 80% Mourvèdre, 15% Grenache, 5% Cinsault sourced from 30 year old vines on soils of clay. The grapes were partially de-stemmed then aged for 18 months in oak foudres. Alcohol 15%. This showed good concentration of fruit with a racy and inky midpalate presence. There were flavors of black fruit, hints of red fruit, and minerals as the tannins coated the gums in the finish. This was youngful, all around balanced, and has a long life ahead. Well done. ***(*) Now-2022. Imported by Kermit Lynch. This wine is a blend of 80% Mourvèdre, 15% Grenache, 5% Cinsault sourced from 30 year old vines on soils of clay. The grapes were partially de-stemmed then aged for 18 months in oak foudres. Alcohol 15%. The color was a medium cranberry red, showing youth. The good nose made way to red punch flavored fruit. The wine developed black fruit flavors but in general remained very tightly played. It was dense, a little round, and had hints of grapey fruit in the rather firm tannic structure. The aftertaste brought fine drying tannins and a touch of heat in the back of the throat. Good flavor, definitely needs age. *** 2018-2026. 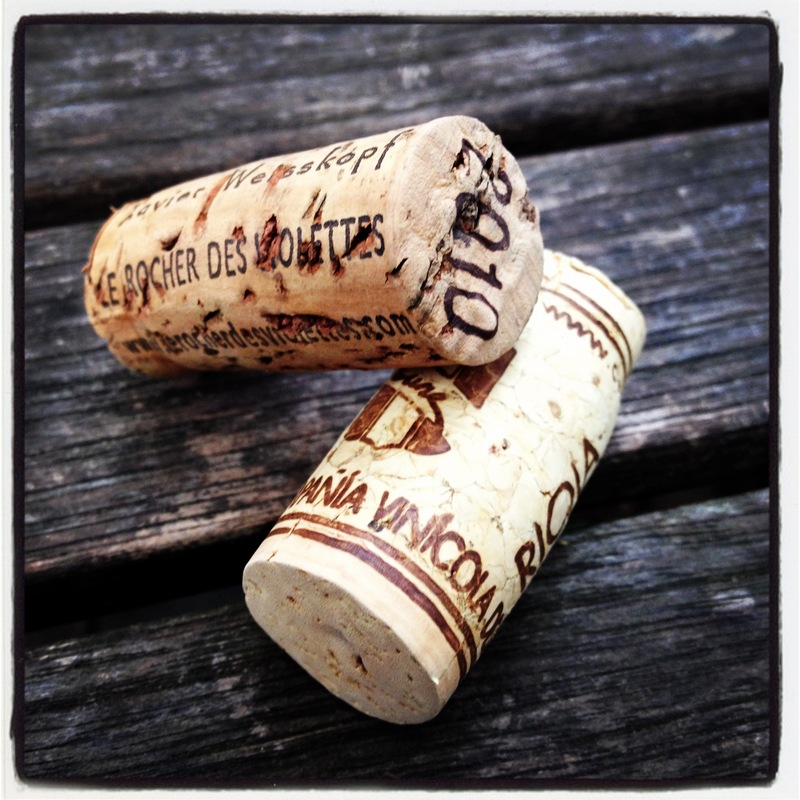 We continue our exploration of white wines by recently tasting two selections from Cune and Le Rocher Des Violettes. Of these two I recommend you try the Cune. It has some engaging complexity, will last several days in the refrigerator,and it is cheap! 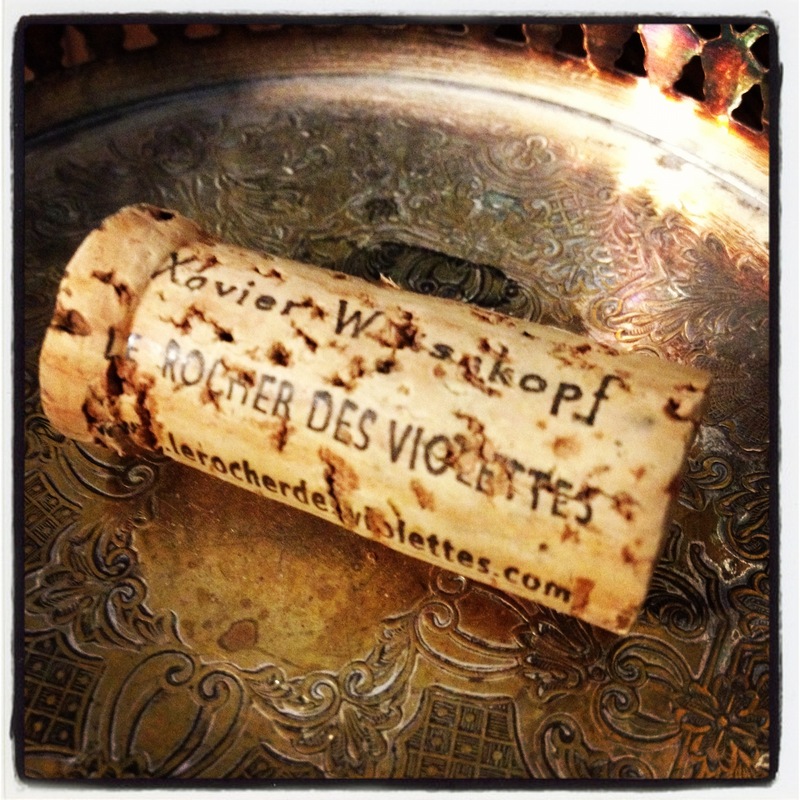 The Le Rocher Des Violettes reveals quite a lot of acidity and never developed much depth of flavor. I actually prefer off-dry Les Bourderies over this dry Touche-Mitaine. These wines are available at MacArthur Beverages. Imported by Europvin USA. This wine is 100% Viura fermented in temperature controlled stainless steel. TA 5.3 g/L, pH 3.3, Alcohol 13%. The color is a very light straw. The fine nose is light and interesting with ripe white fruit and flowers. In the mouth there is white, stoney fruit, citrus, and a moderately bodied mouthfeel in the middle. There are stones and dried herbs followed by a touch of sweet spices and dried herbs in the finish. It is a bit crisp, with dry flavors and a drying aftertaste. There is plenty of acidity at first which tapers off then returns towards the end. *** Now-2014. Imported by Vintage ’59. This wine is 100% Chenin Blanc sourced from a four hectare parce of 30+ year old vines on limestone and flint soil. A portion of the wine is, up to 33%, is raised in stainless steel with the rest in used barrels. It is aged for six months. Alcohol 13%. The color is a light straw with a hint of copper. The nose is reminiscent of a field. In the mouth the wine follows the nose with vibrant acidity which drives the flavors. Citrus flavors expand on and to the sides of the tongue. This is a very precise wine with tangy, chalky notes, and a dry finish. There is a persistent mouth-filling aftertaste. Should be drunk with food. ** Now-2017. Earlier in the month I was curious to try more Chenin Blanc so I purchased this bottle upon Phil’s recommendation. 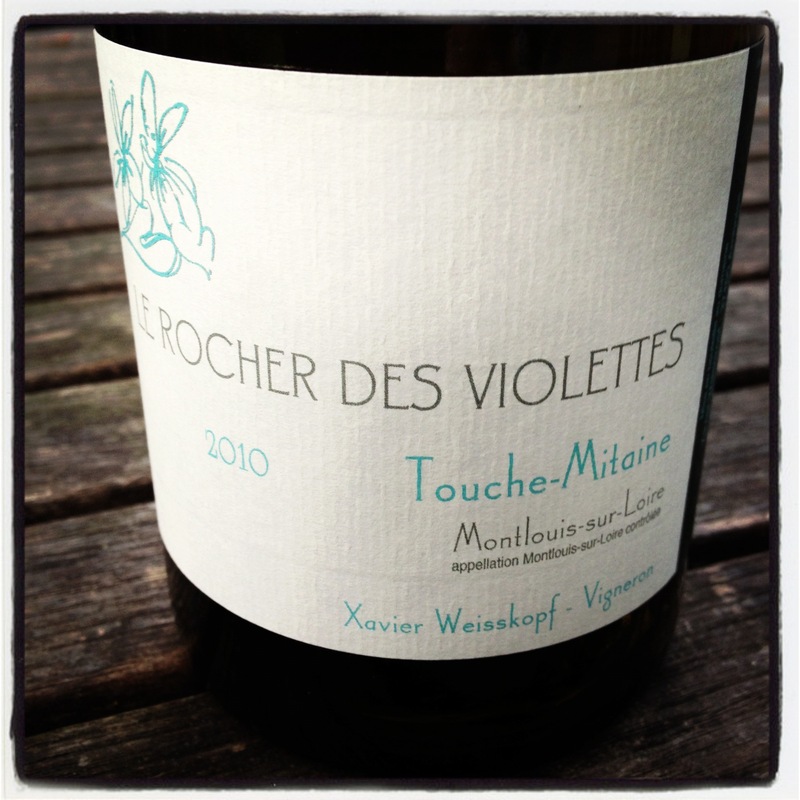 There is nothing new I may add about Le Rocher des Violettes that is not already covered by Chris Kissack’s thorough producer profile and that of Vintage ’59. 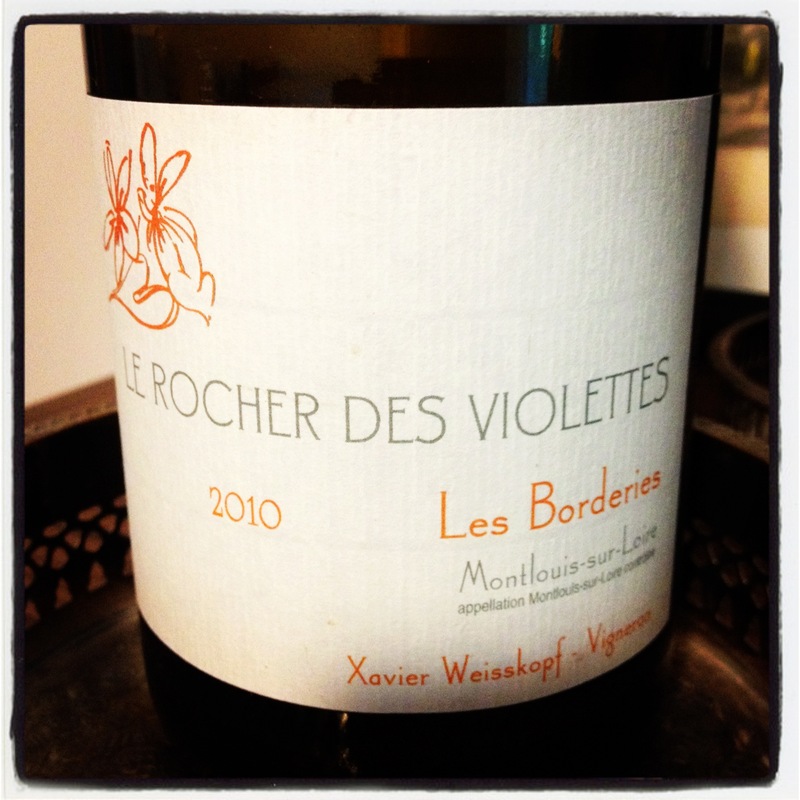 In short, Xavier Weisskopf pursued a degree in viticulture and enology in Chablis. 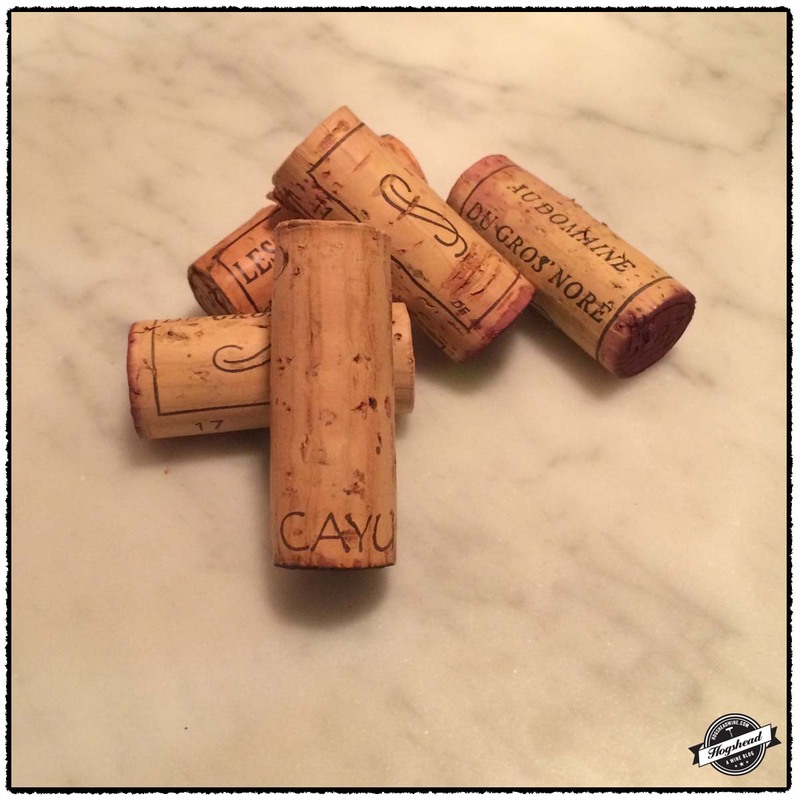 Upon graduation he became chef du cave for Louis Barruol of Chateau de Saint Cosme. There in Gigondas he produced four vintages. 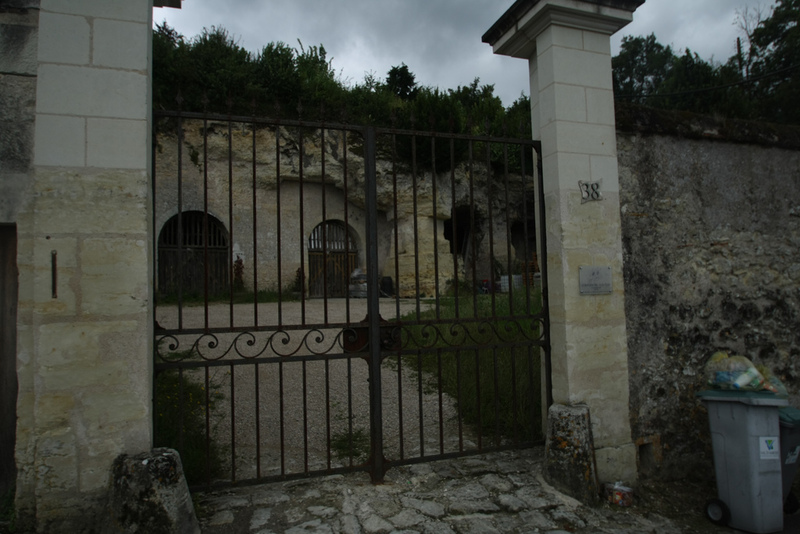 In 2005 he purchased 22 acres of old vines and a 15th century stone cellar in Saint Martin le Beau. 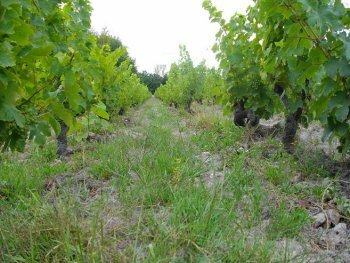 The vineyards were the property of two old vignerons and had fallen into a chaotic state. The vines are rather old, most were planted before WWII with some of the Cot planted in 1891. Xavier restored the vineyards and today farms organically, severely prunes the young vines, harvests by hand, uses indigenous yeasts, and prefers wood over stainless steel. This is a fine off-dry wine. It is interesting both on the nose and in the mouth. Now that I have tried it I am quite curious to taste Xavier’s other wines. This wine is available at MacArthur Beverages. Imported by Vintage ’59. This wine is 100% Chenin Blanc sourced from the 2.5 acre Les Borderies parcel which averages 80 years of age. The fruit was fermented in wood with indigenous yeasts then aged for six months in older demi-muids barrels. RS ~15g/l, Alcohol 13%. The color is a light straw with a copper hint. 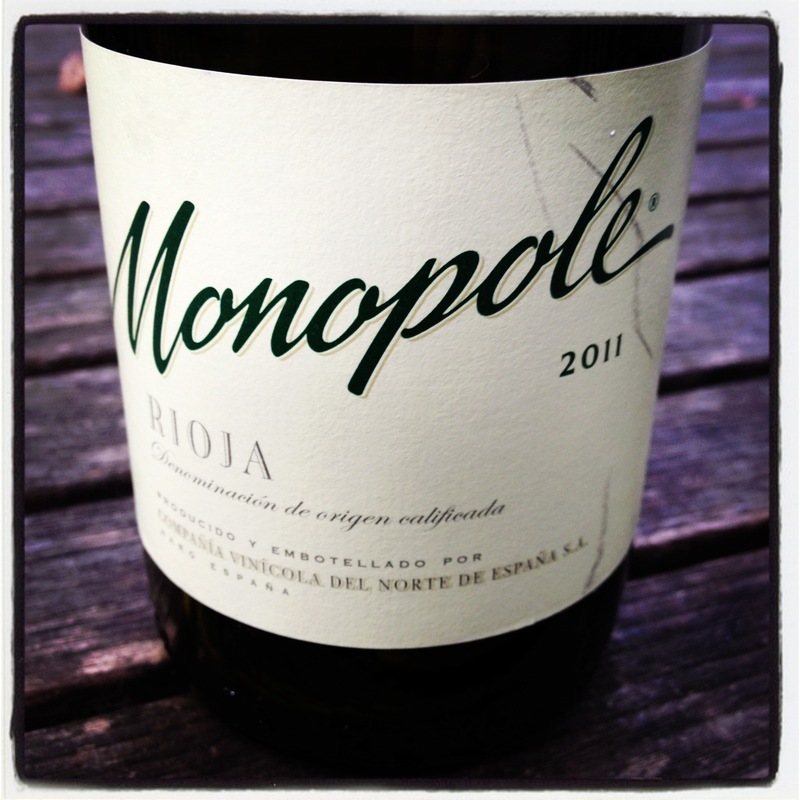 The nose is lightly textured with aromas of ripe white fruit and a little dried floral aspect. In the mouth it is a bit puckering with off-dry, yeasty apple flavors. There is some weight as the flavors become less sweet. The wine becomes tangy with air, like fresh fruit, and shows plenty of acidity in the finish and aftertaste. There is a subtle hint of stones. This will age. *** Now-2022. Our schedules have been a bit hectic lately but Lou and I managed to squeeze in a casual evening this week. I had been saving up these three bottles from Domaine Francois Chidaine for a bit so I immediately offered them up. All three wines have a gentle, engaging mouthfeel with an ethereal manner of delivering their definitive personalities. 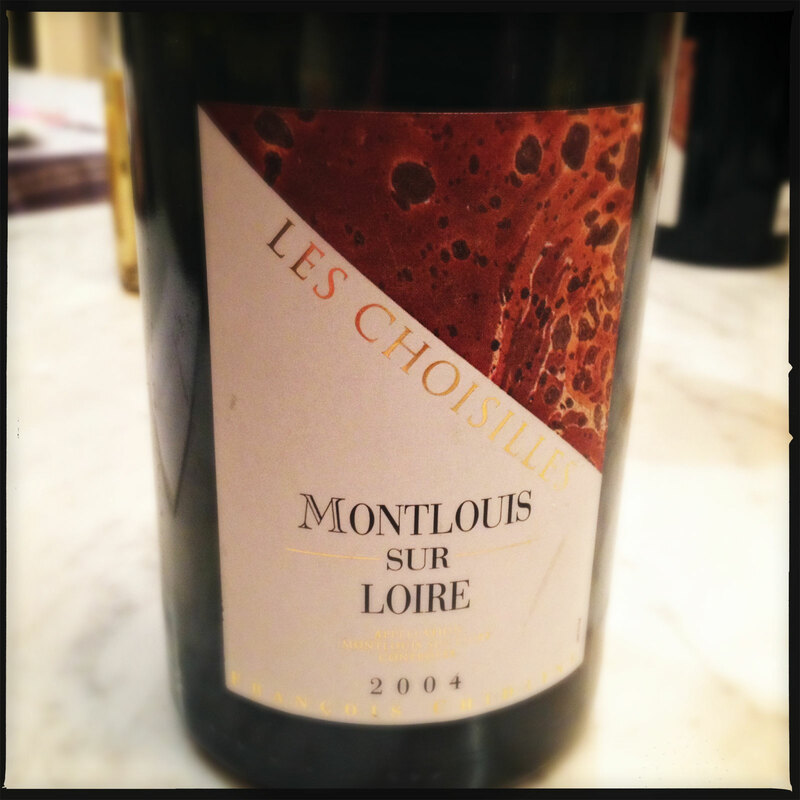 The 2004 Les Choisilles seems to be drinking at or near its peak, showing complete integration. 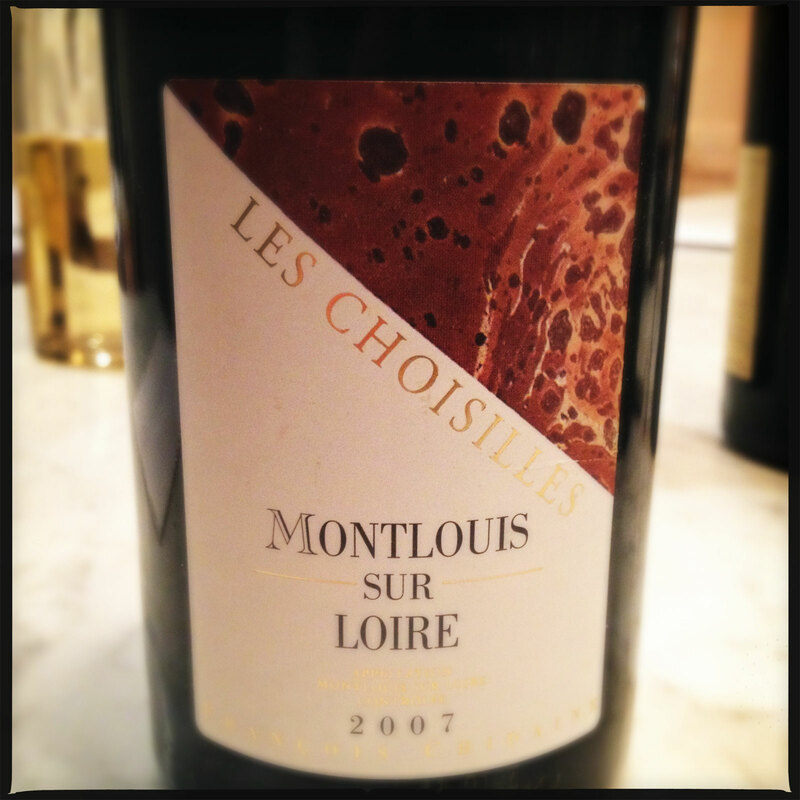 The 2007 Les Choisilles was my favorite of the trio, showing more grip to its depth of flavor and liveliness. 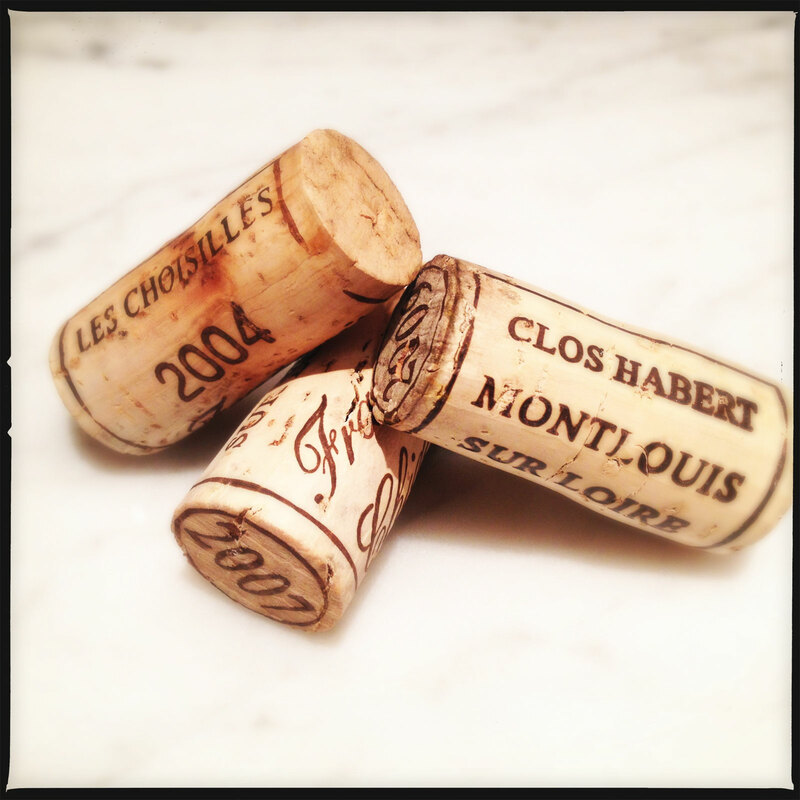 The 2009 Clos Habert is still in an infant which should be cellared for several years. Lou’s 2006 Shane, Syrah, Jemrose Vineyard was a stunning effort for an inaugural vintage made from six-year-old vines! I would recommend trying any of the wines of Domaine Francois Chidaine and Shane Wine Cellars. Update: I retasted the leftover Chidaine wines on the sixth night. They had been stored with Private Preserve in my refrigerator since last week. 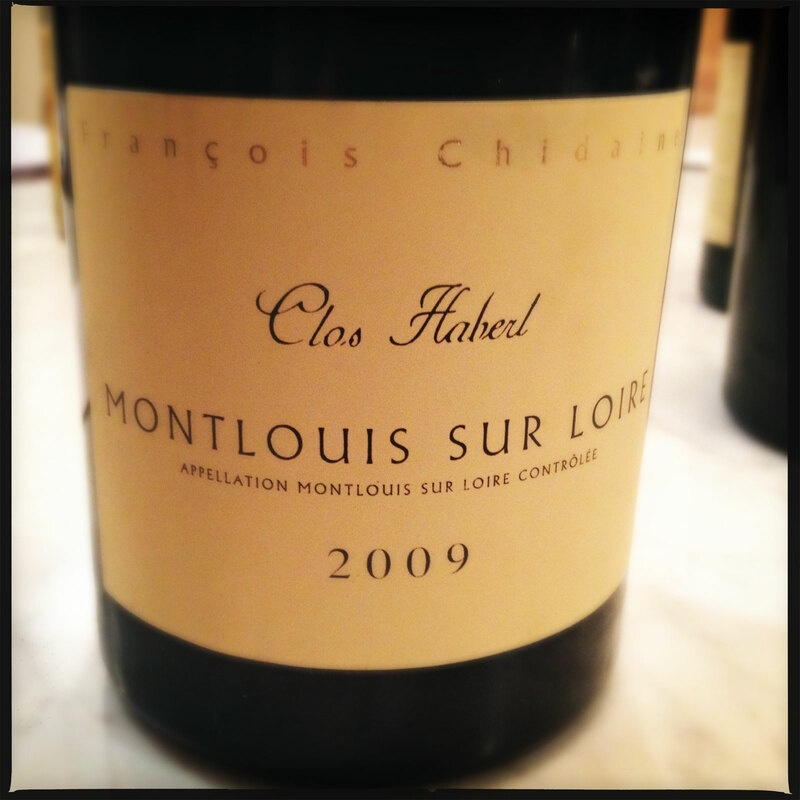 While the two Les Choisilles were hanging on the Clos Habert was still drinking well. 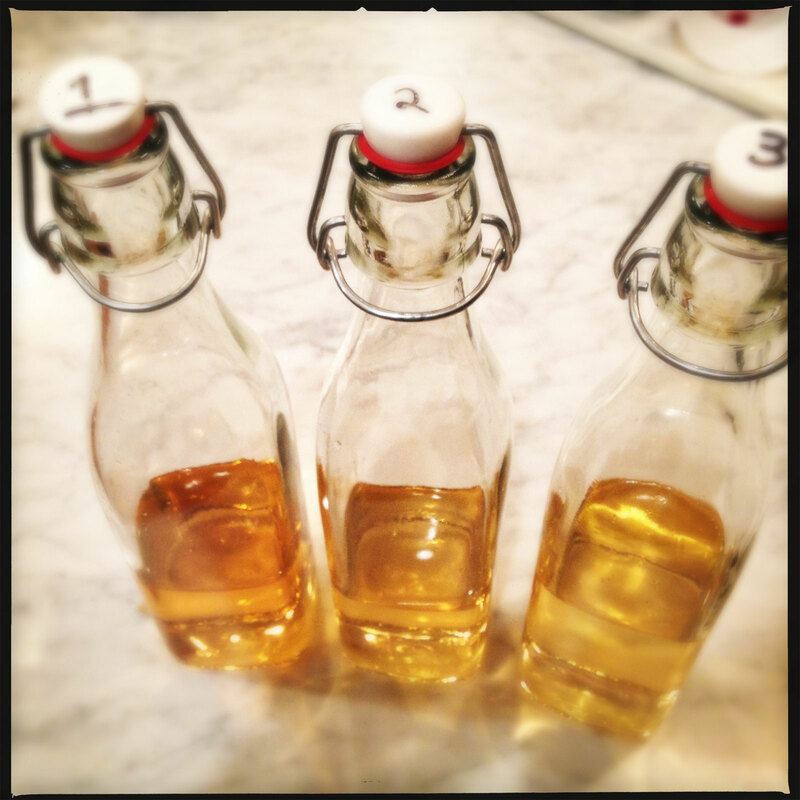 The nose and initial flavors were still quite tight with the residual sugar in good balance, perhaps resulting in the impression of becoming drier. The finish and aftertaste had developed a lovely minerality and left a coating of grippy, sweet spices on the teeth. This definitely deserves restasting in several years and will probably be long-lived. Imported by Dionysos Imports. This wine is 100% Chenin Blanc sourced from 30-90 year old vines located throughout the estate on soils of clay and coarse flint on top of chalk. The fruit is fermented with indigenous yeasts in 600 liter demi-muids then aged for 11 months on the lees. There is no malolactic fermentation. The color was the richest golden-yellow. There was a nose of flint and smoke with a delicate texture. The aromas were quite tight at first but with air became fairly aromatic with a lemon-citrus component. In the mouth there was a familiar suppleness up front then leaner flavors with good acidity. There were notes of dried herbs (perhaps dried flowers?). Good finish but somewhat austere. On the second night the nose reminded me of botrytis with tropical aromas. The entire wine shows strong integration and a caressing suppleness. *** Now-2017. Imported by Dionysos Imports. This wine is 100% Chenin Blanc sourced from 30-90 year old vines located throughout the estate on soils of clay and coarse flint on top of chalk. The fruit is fermented with indigenous yeasts in 600 liter demi-muids then aged for 11 months on the lees. There is no malolactic fermentation. The color was a light+ honey-yellow. The nose revealed yeast and flint which came in waves riding on top of low-lying yellow fruit. In the mouth the supple fruit was yellow in flavor as it mixed with an ethereal yeasty “flor” component. There was a great mouthfeel as the wine was swished about, perhaps a touch soft in the middle but tightened up in the finish and aftertaste as some spice flavors came out. With air there was a note of dry popped popcorn. On the second night this showed more grip in the mouth with a refreshing finish. *** Now-2022. Imported by Dionysos Imports. This wine is 100% Chenin Blanc sourced from 60-year-old vines located on limestone soils of a particular vineyard. The fruit is fermented with indigenous yeasts in 600 liter demi-muids then aged for 11 months on the lees. There is no malolactic fermentation. The nose was lighter with riper fruit and a touch of smoke. In the mouth there were riper flavors at first with good acidity then a weightier mouthfeel took over as supple flavors came out which were spicy. The residual sugar was apparent when you swished the wine around and it left good texture on the tongue in the finish. This clearly needs cellar time. On the second night it tasted drier. **(*) 2015-2022. After the trio of Chidaine wines we moved on to some reds. Earlier in the evening we walked down to his wine cellar to pick a red wine for the evening. 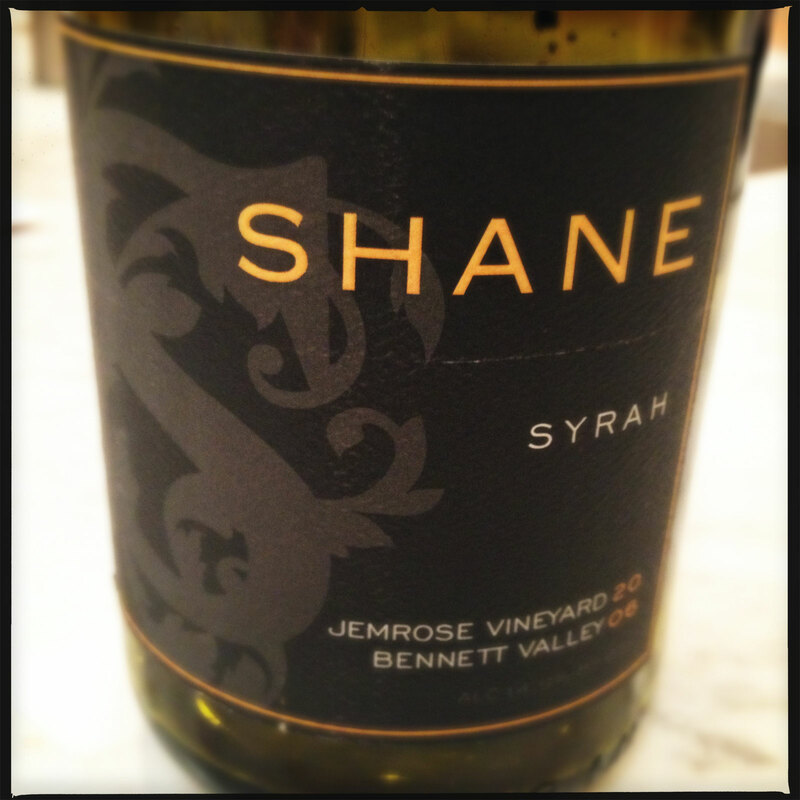 Lou scanned about and I promptly agreed to his suggestion of a Shane Syrah. 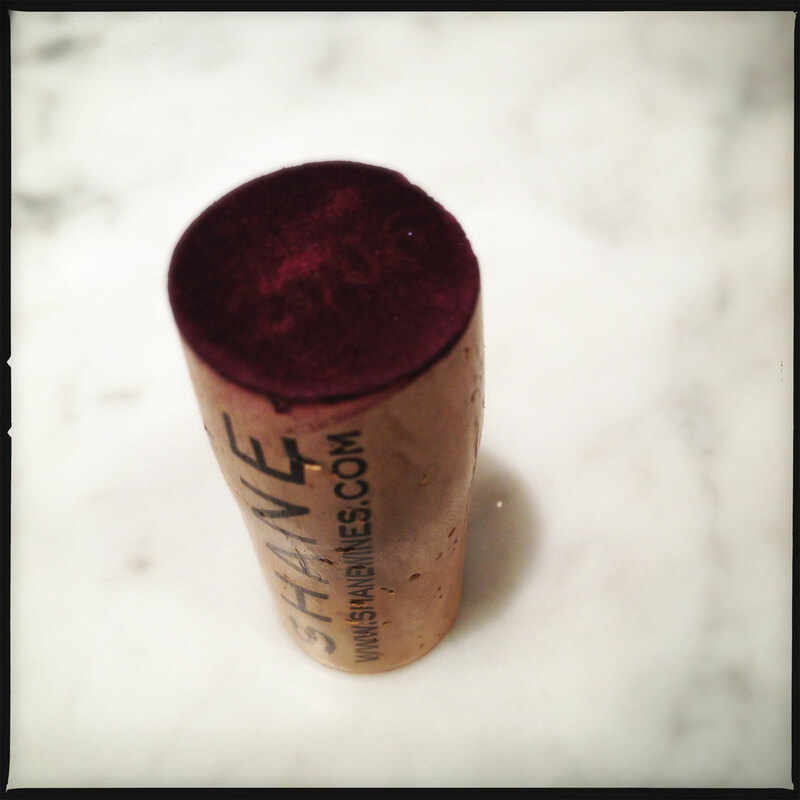 Two years ago he brought over the very good 2006 Shane, Syrah, Unknown. This time he pulled out the Jemrose Vineyard Syrah and promptly decanted it. 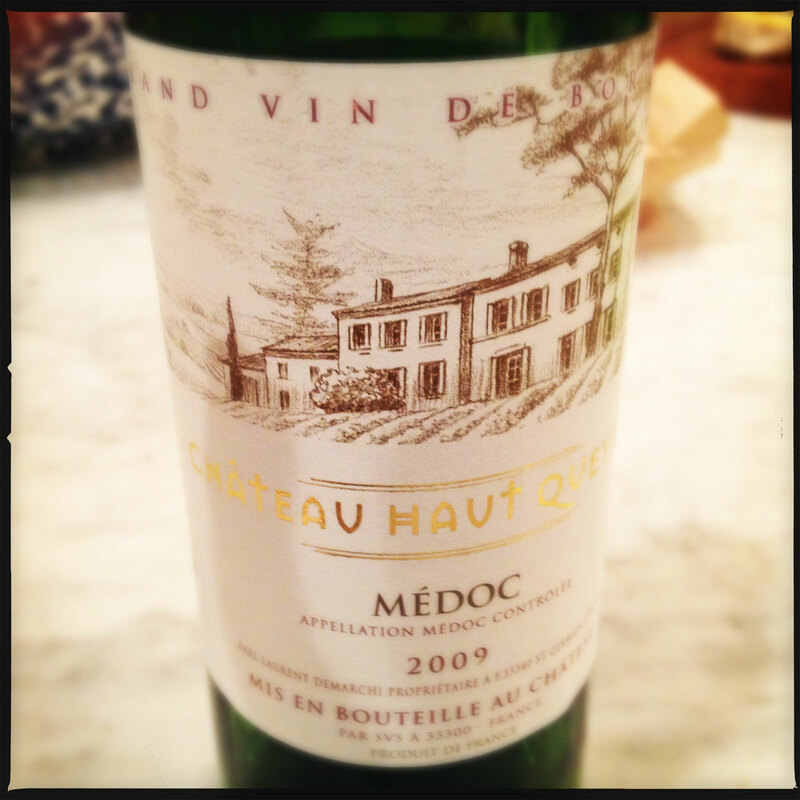 Lou had opened up the Chateau Haut Queyran the night before but was not entirely pleased so he put it back in the fridge. We tried it again but it had not improved. Imported by Monsieur Touton. This wine is a blend of 80% Cabernet Sauvignon, 10% Merlot and 10% Cabernet Franc. Tried on the second night the nose revealed a little wet animal fut and old perfume. There was a good mouthfeel at first then flavors of hard, stemmy green fruit came out before turning lean with dark red flavors and tannins. * Now. This wine is 100% Syrah sourced from the Cardiac Hill Block. It was fermented with 50% whole clusters then aged for 10 months in 50% new French oak. The nose revealed gravelly fruit, a touch of ripeness, and white pepper notes. The aromas of blueberry fruit remind me of the grainy, concentrated blueberry mixture I add to my Greek yoghurt. The great nose continues to develop white pepper and floral herbs. In the mouth the flavors followed the nose with fruit that was focused with some ripeness because tightening up with hints of smoke, iron-like minerals, and perfume. Really quite good and definitely coming into its own. Though this should last for sometime I would drink now with an hour of air or within the next few years. **** Now-2019. No Deposits on the "2006" Numerals!